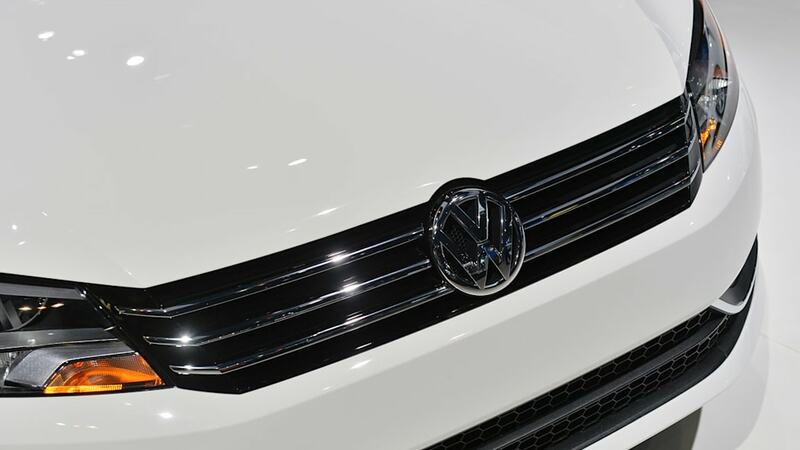 Volkswagen has got a whole raft of changes in store for the 2016 model year. Some of those changes are already known, but others are altogether new developments. 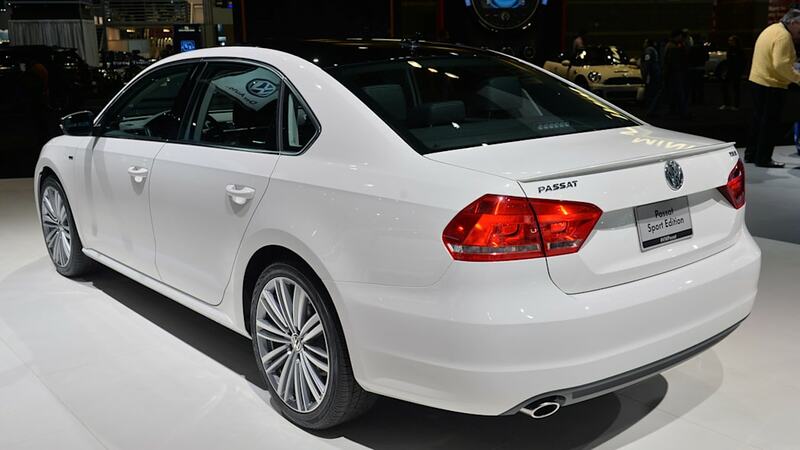 The biggest news is that the German automaker will roll out a facelifted version of the Passat for 2016. 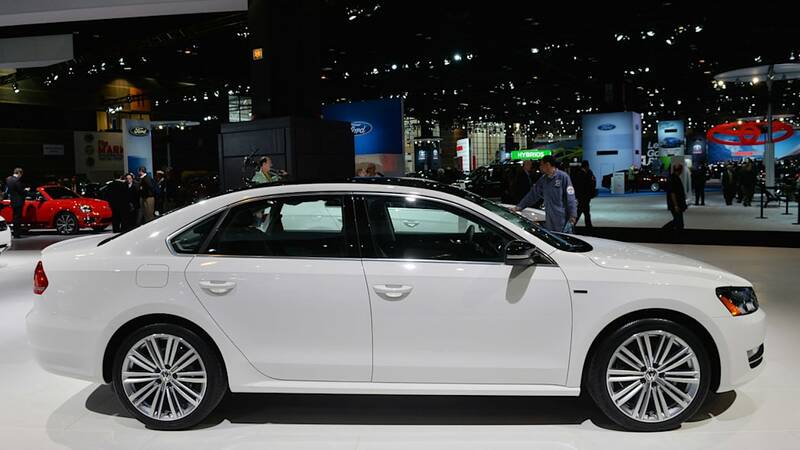 The revised sedan, specific to the North American market, will adopt new sheetmetal, wheels, and lights at both ends. It will also receive a reworked interior with a more premium look and feel and a new instrument panel. It's set to arrive in the fall, with further details to "follow closer to launch." A number of trim-level adjustments are also being applied across the lineup. There'll be a new value-proposition Beetle 1.8T S model, a simplified array of trims for the rest of the Beetle and Tiguan lines, and new Trend and R-Line models for the CC. Lest you think it was finally gone, the Eos cabriolet is also sticking around for another model year in a limited capacity. In addition to these developments, VW is also rolling out a raft of new technologies across a wide variety of models. These include new infotainment features and safety systems, many of which launched on the new Touareg. As we recently reported, there's also a new version of the Jetta GLI, a new 1.4-liter turbo engine for other versions of the Jetta, and a more accessible version of the battery-powered e-Golf as well. Delve into the press release below for a full run-down of all the changes in store for Das Auto brand. 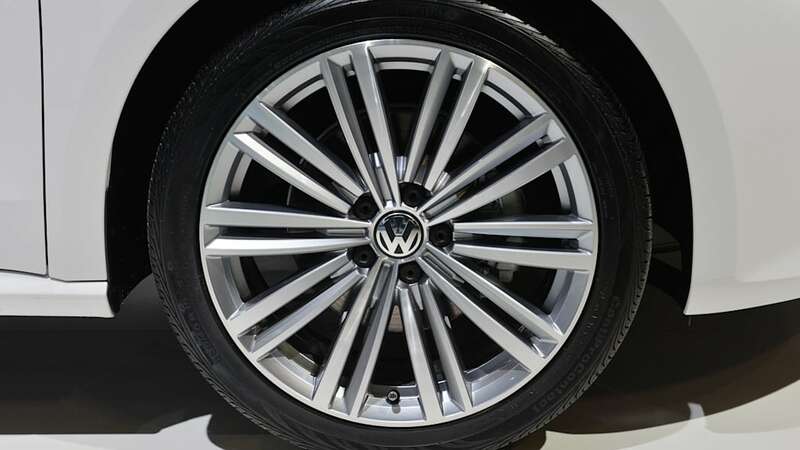 Herndon, VA — For 2016, Volkswagen kicks technology into high gear. Connectivity features, via the new MIB II infotainment system with VW Car-Net® App-Connect, are added to nearly every model. Volkswagen Group of America is one of the first in the industry to support all three available connected car systems: Apple CarPlay®, Android Auto™, and MirrorLink®, allowing owners to access select apps from their smartphones directly through the vehicle head unit. Nearly all vehicles will receive USB connectivity. In addition to smartphone connectivity, the new infotainment system serves as a foundation for the next generation of Volkswagen's Car-Net connected vehicle services. Available by subscription, the Car-Net umbrella includes security features, remote vehicle access, advanced telematics and enhanced navigation. Driver assistance technology introduced on the refreshed 2015 Touareg will be expanded throughout Volkswagen's lineup. Adaptive Cruise Control (ACC) and Forward Collision Warning and Autonomous Emergency Braking (Front Assist) are now available on CC, Golf, Golf GTI, Golf SportWagen, Golf R and Jetta models. The Automatic Post-Collision Braking System debuted on the 2015 Golf, and builds on the premise that a collision is rarely a single, instantaneous action, but rather a series of events that follow the initial impact—the most significant of which can cause additional collisions. The Automatic Post-Collision Braking system helps address this by applying the brakes when a primary collision is detected by the airbag sensors, thus helping reduce residual kinetic energy and, in turn, the chance of additional damage. The system is now also standard on all Beetle, Beetle Convertible, Jetta and Touareg models in addition to the entire Golf family. Lane Departure Warning (Lane Assist), which helps warn drivers if they begin to stray from their lane and actively countersteers if the driver does not react, is available on CC, Golf, Golf GTI, Golf SportWagen and Golf R.
A brand new feature for Volkswagen in 2016 is the Parking Steering Assistant (Park Assist), which identifies parking spots and steers the vehicle into them. Park Assist utilizes Park Distance Control (Park Pilot) as well as a multifunction camera to guide drivers into parallel or perpendicular spaces. 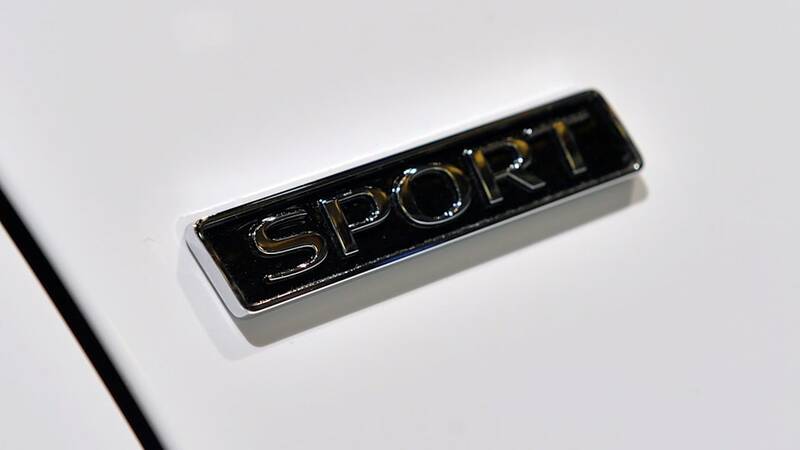 The system will be available on Golf, Golf GTI, Golf SportWagen and e-Golf models. 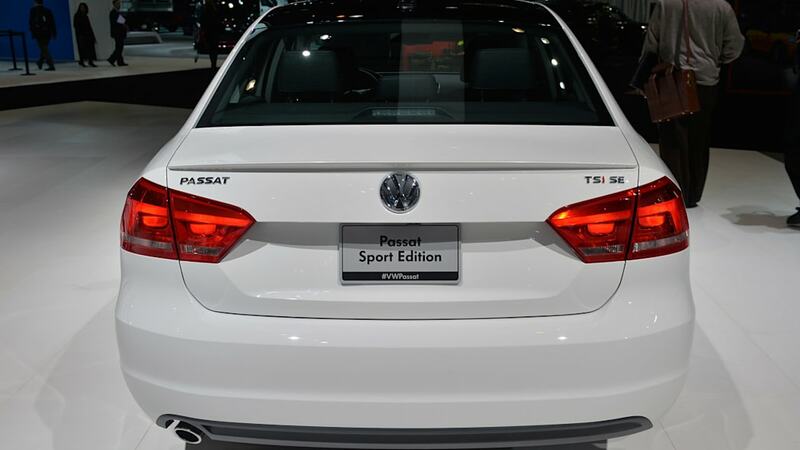 The biggest model update for 2016 will be a refreshed Passat, which will enter the lineup this fall. It receives refreshed styling and interior enhancements, plus a full-suite of technology and host of new driver assistance systems. The Jetta GLI, the sedan equivalent of the Golf GTI, is redesigned for 2016. It gets bold new styling from front to back and is equipped with a specially tuned sport suspension and a 210-horsepower, 2.0-liter TSI® turbocharged and direct-injection engine. Lowering the cost of entry to Volkswagen e-mobility, the new 2016 e-Golf SE offers most of the features of the SEL Premium model and includes a 3.6 kW onboard charger as standard. A new available DC Fast Charging Package adds the 7.2 kW onboard charger with DC Fast Charging. Pricing will start at $28,995, with a $199 lease price, fully competitive with the Nissan Leaf S.
The Jetta receives a new 1.4-liter turbocharged, direct-injection engine to replace the 2.0-liter naturally aspirated engine in the S model and the 1.8T in the SE. This engine makes 150 horsepower and 184 pound-feet of torque, as well as improving manufacturer estimated highway fuel economy by more than 15 percent over the outgoing 2.0-liter engine. 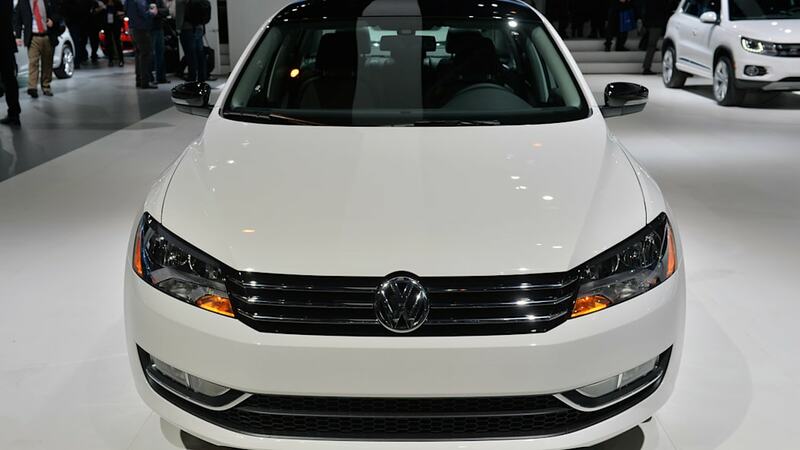 Fitment of this engine to the Jetta brings Volkswagen's percentage of vehicles equipped with turbocharged, direct-injection engines up to about 97 percent, reinforcing the company's leadership in this technology. Additionally, the majority of Volkswagen's lineup now recommends use of regular gasoline, as opposed to premium fuel, saving owners money at the pump. Models approved for use with regular gas are CC VR6, Beetle, Beetle Convertible, Golf, Golf GTI, Golf SportWagen, Jetta, Jetta GLI, and Touareg. Select 2016 Volkswagen models, including Golf family and Jetta TSI models, Tiguan, and Touareg TDI and TSI models, will be arriving in dealerships throughout the month of August. All other 2016 models will start arriving in showrooms in September. shift knob and parking brake; a 5-inch MIB II touchscreen radio with USB; and a six-speed automatic transmission, all for under $20,000. The lineup continues with the well-equipped 1.8T SE (replacing the 1.8T base from model year 2015), which includes; a 6.3-inch MIB II touchscreen radio with USB and VW Car-Net App-Connect; voice control; and a rearview camera. The 1.8T SEL (replaces 1.8T w/ Sunroof) adds 18-inch Disc aluminum-alloy wheels; navigation; and Blind Spot Monitor with Rear Traffic Alert. Changes to the TDI and R-Line models largely mirror revisions to the TSI lineup, except they've been streamlined to SE (replacing base model) and SEL (replacing models w/ Sunroof, Sound & Navigation). A new lighting package is available for 2016 on all 1.8T and TDI models and R-Line SE, including Bi-Xenon headlights, LED Daytime Running Lights and an LED rear license plate light. Like the Beetle, the 2016 Beetle Convertible range receives new names, but most of the content carries over. The 1.8T S and R-Line S replace the base models; SE models replace 1.8T w/ Technology, R-line w/ Sound and TDI base model; all SEL models replace models w/ Sound and Navigation. Automatic headlights are standard on all models now and voice control is added to SE models. A new lighting package is available for 2016 on all 1.8T and TDI models and R-Line S and SE models, including Bi-Xenon headlights; LED Daytime Running Lights; and an LED rear license plate light. Lowering the price of entry to the CC lineup, the new 2.0T Trend model comes equipped with Bi-Xenon headlights with Daytime Running Lights; LED taillights; front foglights with chrome trim; V-Tex leatherette seating surfaces; 12-way heated and power adjustable front seats; leather-wrapped steering wheel, shift knob and parking brake; a 6.3-inch MIB II touchscreen radio with USB and VW Car-Net App-Connect; rearview camera; and a six-speed manual transmission. For 2016, the already well-equipped 2.0T Sport and R-Line models add Keyless entry with push-button start. Two new R-Line trims join the lineup as well: The Executive model adds to the R-Line content with 18-inch Montauk aluminum-alloy wheels; black window moldings, mirror caps and grille accents; ambient lighting; panoramic sunroof; and leather seats. The Executive w/ Carbon model adds carbon leather seats and carbon décor and removes ambient lighting. The 3.6L VR6 4Motion Executive model gets new 18-inch Shanghai alloy wheels. New driver assistance features enter the CC lineup as well. The 3.6L VR6 4Motion Executive model also receives Adaptive Cruise Control (ACC), Forward Collision Warning and Autonomous Emergency Braking (Front Assist) and Lane Departure Warning (Lane Assist). For 2016, the Eos continues with a limited run and few changes over the 2015 models. Lowering the cost of entry to e-mobility, the 2016 e-Golf SE offers most of the features of the SEL Premium model. A 3.6 kW onboard charger is standard, but the DC Fast Charging Package (late availability) adds the 7.2 kW onboard charger with DC Fast Charging. 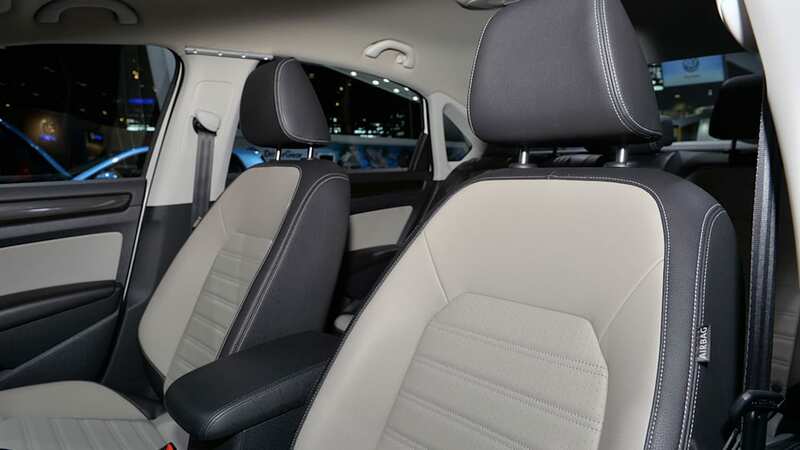 Both e-Golf models get MIB II infotainment systems; SE models feature a 6.5-inch touchscreen, and SEL Premium models have an 8-inch touchscreen. A new Driver Assistance Package, which includes Forward Collision Warning and Autonomous Emergency Braking (Front Assist) and Parking Steering Assistant (Park Assist), is available on SEL Premium. After a ground-up redesign for 2015, the Golf continues with the following changes. After a ground-up redesign for 2015, the Golf GTI continues with few changes. 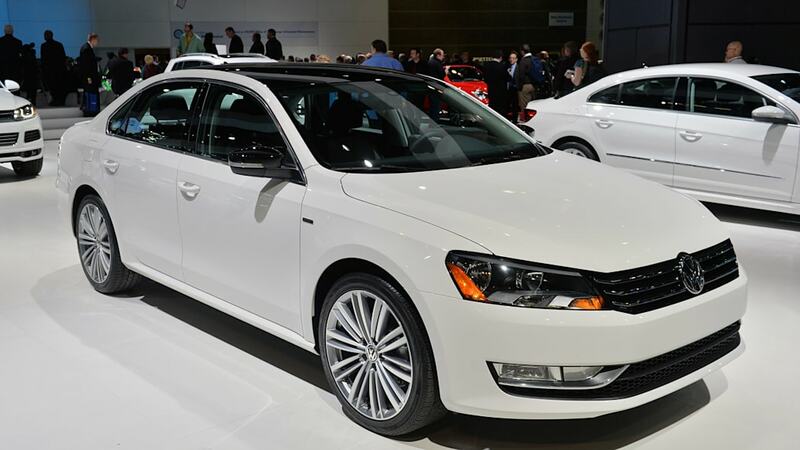 After a late redesign for 2015, the Golf SportWagen continues with the following changes. After a late introduction for 2015, the Golf R continues with a few significant changes for 2016. A new 1.4-liter turbocharged, direct-injection engine replaces the 2.0-liter naturally aspirated engine in the S model and the 1.8T in the SE. This engine makes 150 horsepower and 184 pound-feet of torque, as well as improving manufacturer estimated highway fuel economy by more than 15 percent over the outgoing 2.0-liter engine. 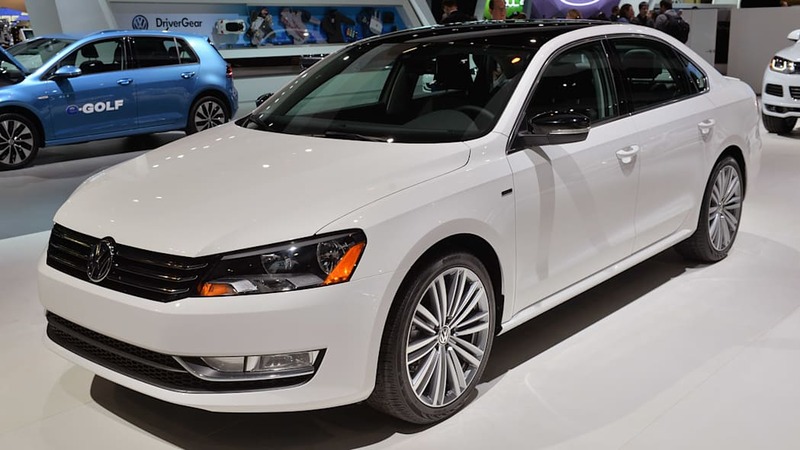 Fitment of this engine to the Jetta brings Volkswagen's percentage of vehicles equipped with turbocharged, direct-injection engines up to about 97 percent, reinforcing the company's leadership in this technology. Some adjustments to equipment have been made for 2016. TSI and TDI S models add MIB II infotainment with a 5-inch touchscreen and USB, and speed-sensitive electric power steering is now standard. TSI SE, TSI and TDI SE w/ Connectivity and TSI Sport models receive MIB II infotainment with a 6.3-inch touchscreen, USB and VW Car-Net App-Connect, as well as a rearview camera (new for SE). 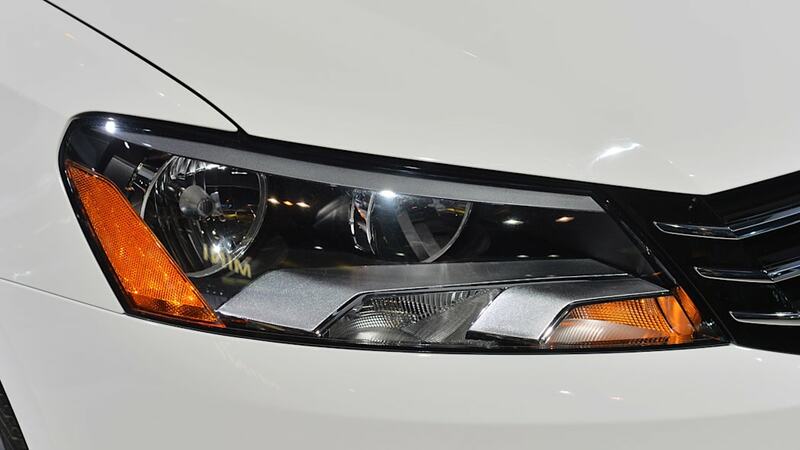 The TSI SEL (replacing the 2015 SE w/ Connectivity and Navigation) receives automatic headlights with rain-sensing wipers and a soft-touch dash. 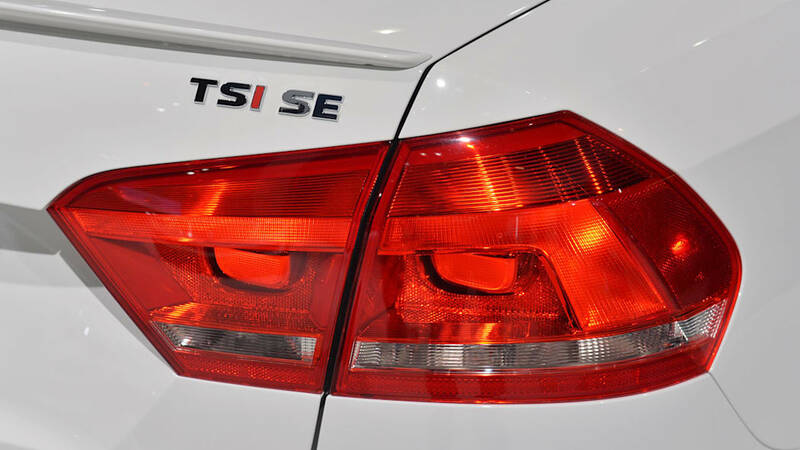 The TSI SEL Premium (replacing the 2015 SEL) and the TDI SEL Premium receive automatic headlights with rain-sensing wipers. The Tech Package (available on TSI S) includes MIB II infotainment with USB and VW Car-Net App-Connect via a 6.5-inch touchscreen; rearview camera; and an extendable and adjustable armrest. All Jetta models get the Automatic Post-Collision Braking System and the Driver Assistance Package (available on TSI and TDI SEL and SEL Premium models) now includes Adaptive Cruise Control (ACC), Forward Collision Warning and Autonomous Emergency Braking (Front Assist) in addition to Blind Spot Monitor w/ Rear Traffic Alert. Jetta GLI, the sedan equivalent of the Golf GTI, is redesigned for 2016. It gets a bold new look highlighted by an aggressive front fascia that incorporates a honeycomb grille and foglights, along with a new rear bumper design that has a diffuser and a pair of chrome-tipped exhausts. It is equipped with a specially tuned sport suspension and a 210-horsepower, 2.0-liter TSI turbocharged and direct-injection EA888 four-cylinder engine. Inside, 2016 GLI models benefit from the new MIB II infotainment system with 6.3-inch touchscreen, USB and VW Car-Net App-Connect. The well-equipped SE model sports LED taillights, Keyless access with push-button start, Climatronic® automatic dual-zone climate control, a sunroof, six-way power driver seat, a rearview camera, front and rear Park Distance Control, the award-winning Fender® Premium Audio System, rain sensing wipers, auto headlights, premium color trip computer, auto-dimming rearview mirror and heated seats. Available features include Blind Spot Monitor with Rear Traffic Alert, a navigation system, Bi-Xenon headlights with the Adaptive Front-lighting System and LED Daytime Running Lights, and Homelink®. 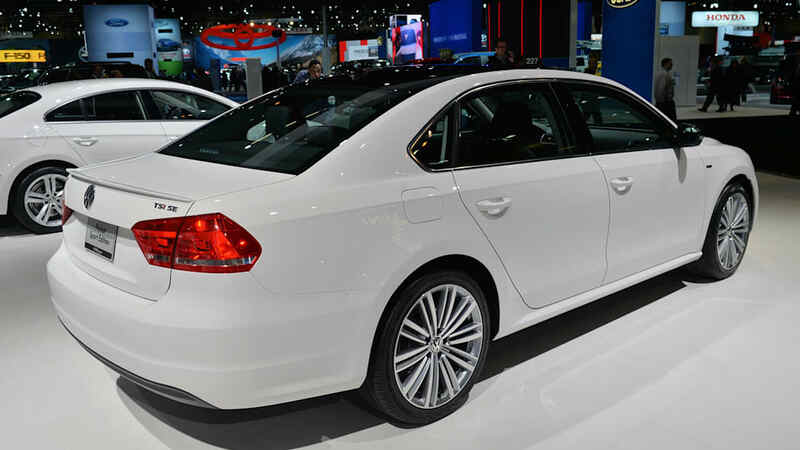 The facelifted Passat is coming in the fall of 2015 as a 2016 vehicle. The Tiguan takes a major step forward in value for 2016, with a nearly $1,400 reduction in the starting price and content added across the lineup. New standard features include V-Tex leatherette seating surfaces, heated seats and Keyless access with push-button start. For 2016, the Tiguan R-Line is repositioned to a lower price point between the S and SE trims to make the sporty and aggressive styling even more accessible. The trim order is now S, R-Line, SE, and SEL and more content has been added as standard across the line-up. The entry-level S trim line adds MIB II infotainment systems with 5-inch touchscreen and USB, Keyless access with push-button start, V-Tex leatherette seating surfaces, heated front seats, heated washer nozzles and automatic headlights with rain-sensing wipers and auto-dimming mirror. R-Line and higher trim lines receive MIB II infotainment with a 6.3-inch touchscreen, USB and VW Car-Net App-Connect. A panoramic sunroof is now standard on the SE (SE w/ Appearance trim is discontinued), along with 18-inch New York aluminum-alloy wheels; Bi-Xenon headlights with LED Daytime Running Lights and the Adaptive Front-lighting System (AFS); LED rear license plate lights; foglights with cornering function; full power driver's seat; power passenger seat recline; and chrome interior switches, exterior door trim, window surround, and roof rails. The SEL model now receives 19-inch Savannah aluminum-alloy wheels with wheelarch extensions and sport suspension; leather seating surfaces; memory driver's seat; power folding door mirrors; Bi-Xenon headlights with LED Daytime Running Lights and the Adaptive Front-lighting System; LED rear license plate lights and automatic headlights with rain-sensing wipers and auto-dimming mirror. After a facelift in 2015, Touareg continues with a price reduction of about $2,000 across the lineup and only minor content changes.